Veterinarians at the National Zoo conducted their first ultrasound examination Tuesday on the female giant panda Mei Xiang since she began building a nest over the weekend, but they can't yet determine whether she is pregnant. Zoo officials tweeted updates as keepers encouraged Mei Xiang to cooperate. Zoo scientists recently detected a rise in hormone levels that could indicate the panda is either pregnant or experiencing a “pseudopregnancy,” which occurs when a panda ovulates but doesn't conceive. 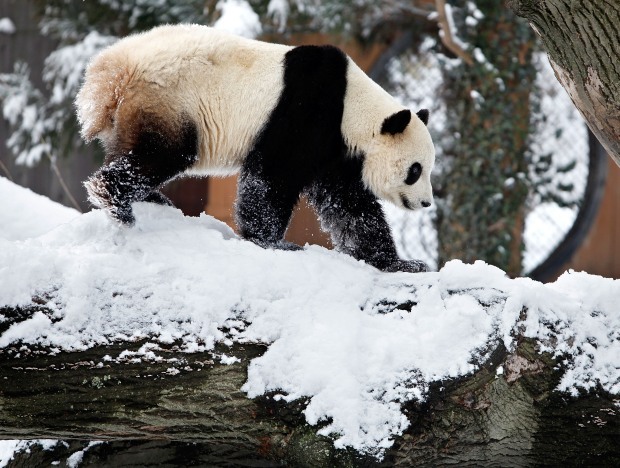 Mei Xiang has had five consecutive pseudopregnancies since 2007. She gave birth to her only cub, Tai Shan, in 2005. Scientists at the zoo have said Mei Xiang has less than a 10 percent chance of being pregnant this year after so many failed attempts, said zoo spokeswoman Lindsay Renick Mayer. Scientists have said she may be infertile at this point, but they called on Chinese panda experts to help with the breeding process this year. Still, Mei Xiang is showing all the signs of a possible pregnancy. Over the weekend, Mei Xiang began building a nest with bamboo and was eating less than usual. The 14-year-old panda was artificially inseminated twice in late April. The ultrasound Tuesday showed a thickening of her uterine walls, which would be consistent with either a pregnancy or a pseudopregnancy. If there were a fetus growing inside, it would be difficult to detect. Panda fetuses don't start developing until the final weeks of a pregnancy. So it may be too soon to have any confirmation of whether Mei Xiang could give birth. 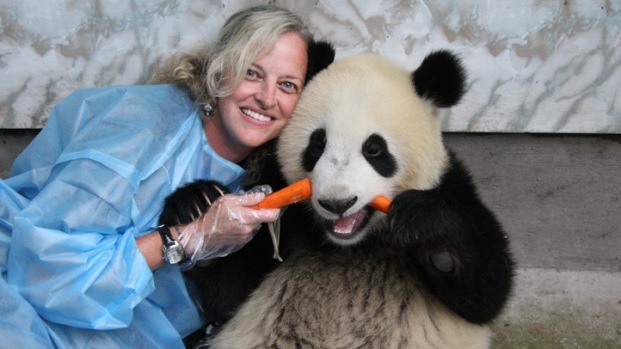 Zookeepers will continue trying to perform ultrasounds twice each week if Mei Xiang cooperates. They hope to know whether she is pregnant by the middle of September, Renick Mayer said.